Join My Horse University for the first free “brown bag lunch” online webinar titled Caring for the Senior Horse on Thursday, February 22, 2018 at 12 p.m. EST. The old adage “you're only as old as you feel,” is especially applicable to horses. Many senior horses have productive careers well into their twenties. Research suggests that the secret to maintaining a serviceable older horse is to make proactive management changes in their health care, diet and exercise. Signs of aging include dental problems, weight or muscle loss, gray hairs around the face, flank and tail head, and stiffening of the joints. The average onset of aging signs in horses is twenty years. Like humans, the degree of physical aging varies from horse to horse. To learn more about what to expect in an aging horse and how to keep you senior equine partner healthy and happy, Michigan State University Extension recommends that horse owners join My Horse University for a free webinar on Thursday, February 22 at 12 p.m. EST by Dr. Christine Skelly. Presenter Dr. Christine Skelly, Ph.D. is an associate professor in the Michigan State University Department of Animal Science and teaches a horse nutrition course. 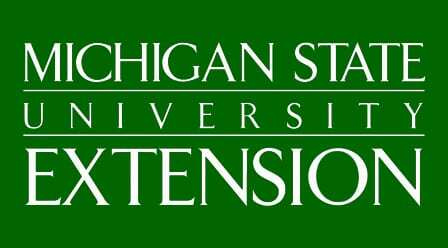 In addition, Dr. Skelly is the director of My Horse Unversity, an online horse management program offered through Michigan State University Extension. Dr. Skelly's interest include equine nutrition, housing and environmental management. This article was published by Michigan State University Extension. To have a digest of information delivered straight to your email inbox, visit http://www.msue.msu.edu/newsletters. This entry was posted in Horse Care and tagged ag extension, brown bag lunch, caring for the older horse, Dr. Christine Skelly, michigan state university, MSU Extension, my horse university, webinar by Edited Press Release. Bookmark the permalink.